Did it miss us? We have been away. Far, far away in a galaxy, yes? We goes all the way to England, precious! 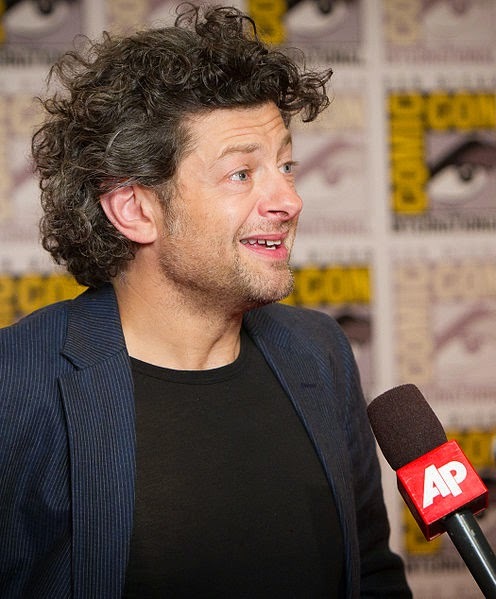 Smeagol goes to see our good friend Andy Serkis. Does it know why? It is in Star Wars, my precious! Yes, yes, it is playing a character! Smeagol is very proud of our friend. Andy Serkis is not allowed to tell us what it is doing so we goes to see for ourselves. To the Star Wars set we goes! No, we haven't been sneaking, we wants to see our nice friend. Did Smeagol learn anything? Maybe we did. We knows many paths and sees many things. But Smeagol isn't allowed to tell our nice readers. Precious will have to wait, it will! We can tell it that the movies are using our nice friend's Imaginarium. We doesn't know what it is, but Smeagol is pleased. While we were in England, we thought it would be nice to see a Shakespeare play, yes? 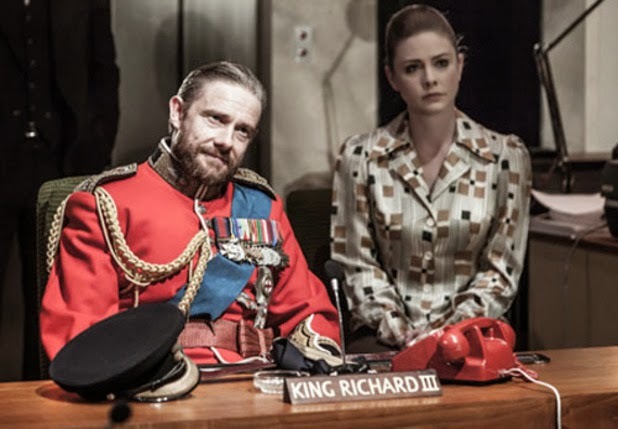 We knows that Richard III is playing, and that we might like it. The actor even mentions Smeagol in the Telegraph! It says, "I’ve just been rehearsing a scene where Richard is having a little diatribe to himself, where his schizophrenic personality comes out. And it’s absolutely Gollum, it’s totally Gollum. It’s like Shakespeare invented Gollum 400 years ago." It mentions us! We likes this, we thought, precious! Yes, we thought so. 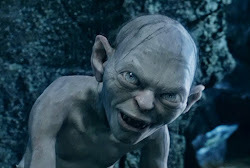 Smeagol goes to Trafalgar Studios then, so we can see the play. We thought it would be very nice, very nice indeed. But then Richard III came on the stage. Does it know who it is? Can it guess? It can grow a beard but it will never hide from us, precious. We wants to see a nice play but Baggins ruins it! Ruins it again! Precious was so very disappointed and angry. But we stays and was happy to see that the play was a tragedy, oh yes precious, gollum gollum. No more about Bagginses. Smeagol is too busy looking for Star Wars! We must find our friend Andy Serkis! What does it think it will be doing? Maybe it will play someone like us again? Smeagol cannot wait! We will find out all we can until the movie. Does it have any ideas? That's very disappointing, Smeagol. I understand your hatred for Baggins, and I hope you will not have to see him again. Perhaps another viewing of Richard III would not have him? It is nice to us, precious, very nice is Alyianna. We hopes we won't see Baggins again too, precious. Make sure not to watch the movie about hobbits coming out this December. Then you should avoid seeing Baggins. Precious wants to go so see the work Andy Serkis does, but we will close our eyes for Bagginses. And bring ear plugs, yes precious. It tags us? It gives us a reward? Yesss! Nice Alyianna, so kind to Smeagol.